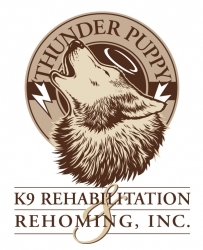 Husky rescues closing their doors in Colorado, creates space issues for Thunder Puppy. Denver, CO, September 28, 2018 — The recent closure of two of the only three Siberian Husky and Malamute rescues in the state of Colorado has left a dramatic void for at-risk snow breeds. The increase in popularity of the television series Game of Thrones correlates with a dramatic increase in the number of Huskies being abandoned. In the series, characters have pseudo-pets that are very similar in appearance to snow breed dogs and are called “Dire Wolves.” Enthusiastic consumers seek out a Siberian Husky or Malamute, attempting to recreate the relationships and behaviors they see on television, without understanding that what they are seeing is fictional in every way. When the pet exhibits behaviors the owner doesn’t like or approve of, the animal is abandoned, and in many cases have either received no training at all or have been put in stressful, overwhelming situations, causing behavioral issues that are exacerbated by the naturally high-energy and stubborn nature of the breed. Ann’s work leverages the concepts of dog psychology and pack therapy, with her permanent pack of Siberian Huskies, making her uniquely qualified to assess these animals, provide the strong leadership necessary to address the psychological and behavioral issues present, and find lifelong and loving forever homes with humans whose own energy levels and leadership skills are a suitable match.